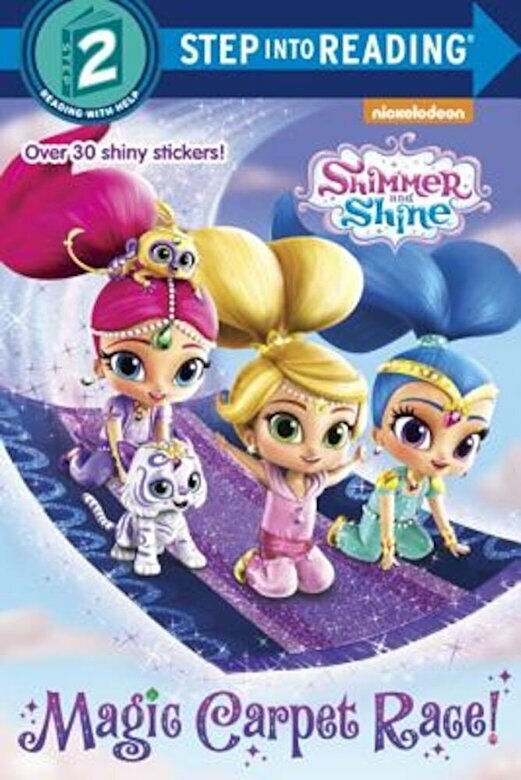 Prezentare Leah and her twin genies, Shimmer and Shine, go on a magic carpet race Boys and girls ages 4 to 6 will love this Step 2 deluxe Step into Reading leveled reader based on Nickelodeon's Shimmer and Shine, which features over 30 shiny stickers. Step 2 readers use basic vocabulary and short sentences to tell simple stories. For children who recognize familiar words and can sound out new words with help. Boom, Zahramay Join the madcap magical adventures of genie-in-training twin sisters, Shimmer and Shine, as they grant wishes for their best human friend, Leah, and show preschoolers that things are always better when you work together.